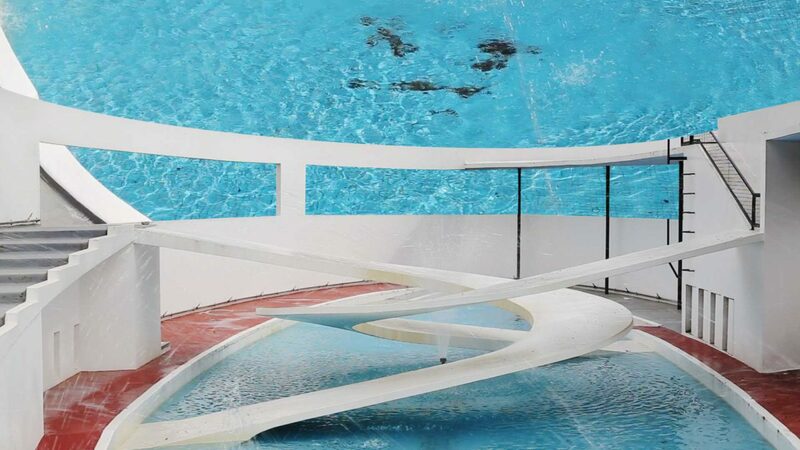 Designed by the Russian emgiré, Berthold Lubetkin, in 1934, the Penguin Pool in London Zoo is one of the most important modernist buildings in Britain. In 2004, the penguins were removed because of concerns regarding animal welfare. 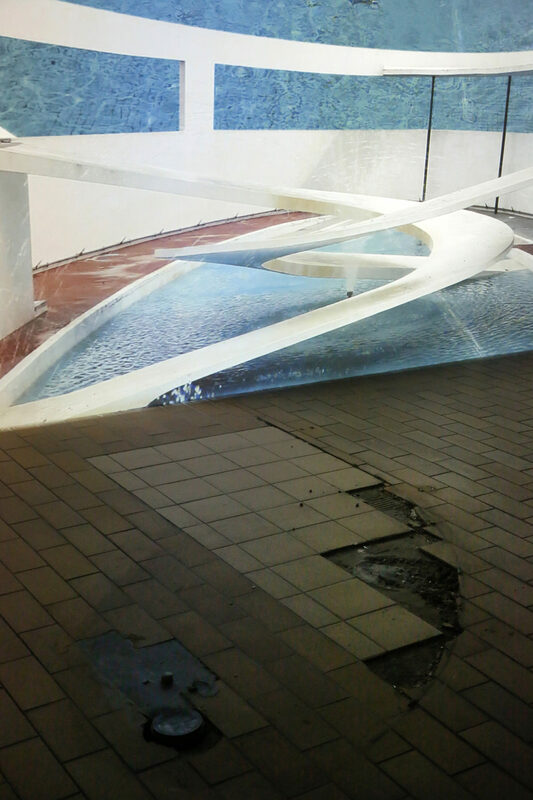 Since then, the iconic architecture has been ”empty“, animated only by water fountains. In the video, this emptiness is forced by masking out the zoo environment. 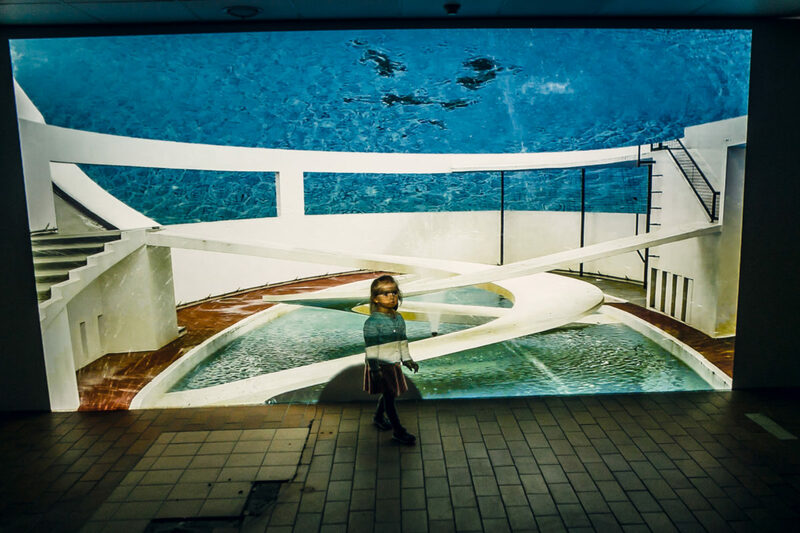 Without the context of the surrounding, the ”penguin pool“ becomes an Utopian model again. „Pool“ read backwards, becomes a „loop“. The idea of the loop is central for the editing concept. In one loop-circle every image is shown twice: first, the images are shown sequential, in the second part, two images are combined to form one new image. Katharina Swoboda (AT), born in 1984, graduated from the Academy of Fine Arts in Vienna, and has been a PhD student at the transdisciplinary doctorate programme at the University of Fine Arts in Hamburg since 2014. 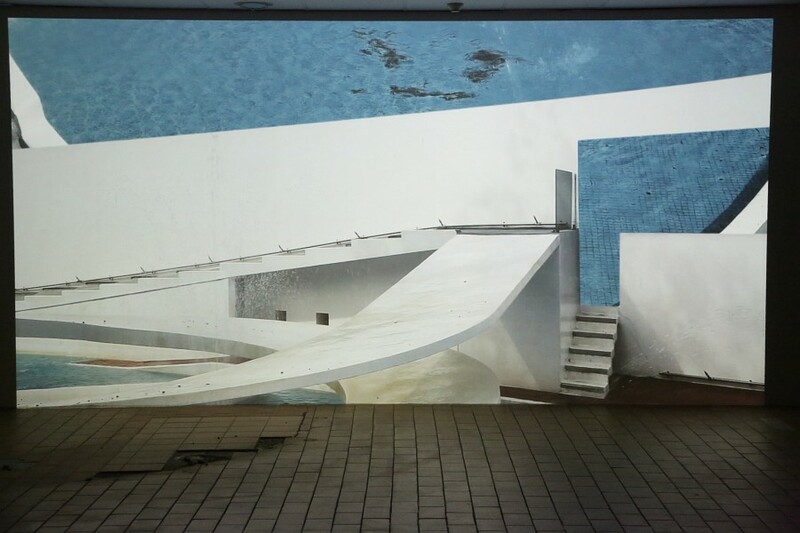 Swoboda’s work is predominantly video-based. 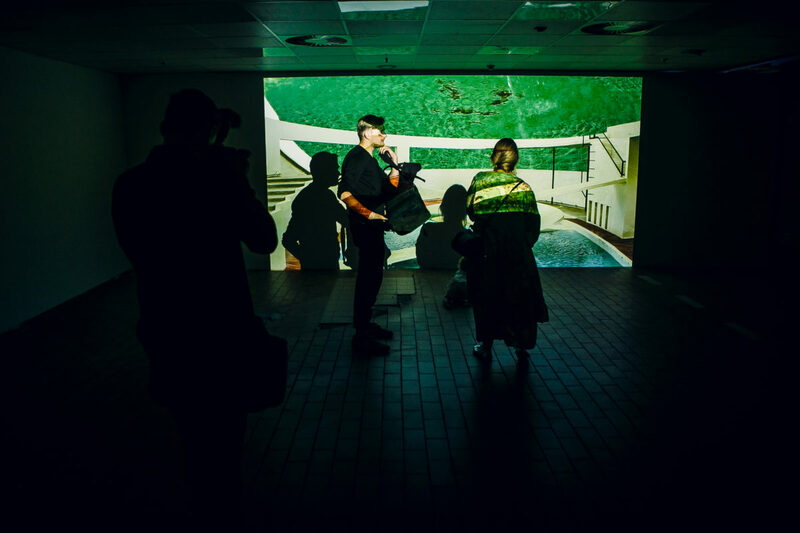 She is interested in the kinship between architecture, the archive and the audio-visual apparatus in different contexts, e.g. the zoological garden. 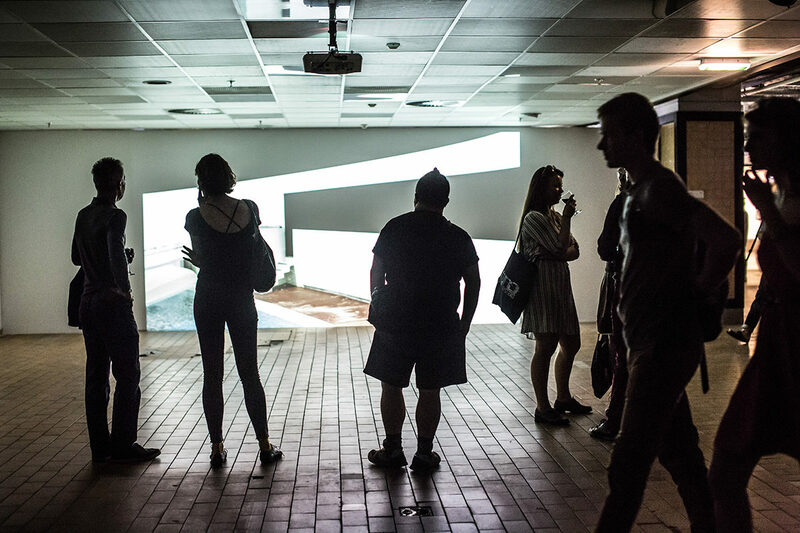 Recent exhibition include: Mediterranea 18 Young Artists Biennale in Tirana and Durrës (2017), National Gallery in Sofia (2017), Neue Galerie Graz (2016). She received several grants and awards, e.g. from the Regional Government of Styria, Department of Culture and the Austrian Federal Chancellery. She is a member of the Golden Pixel Cooperative in Vienna.